Before this week is officially over, I want to sneak in a review. 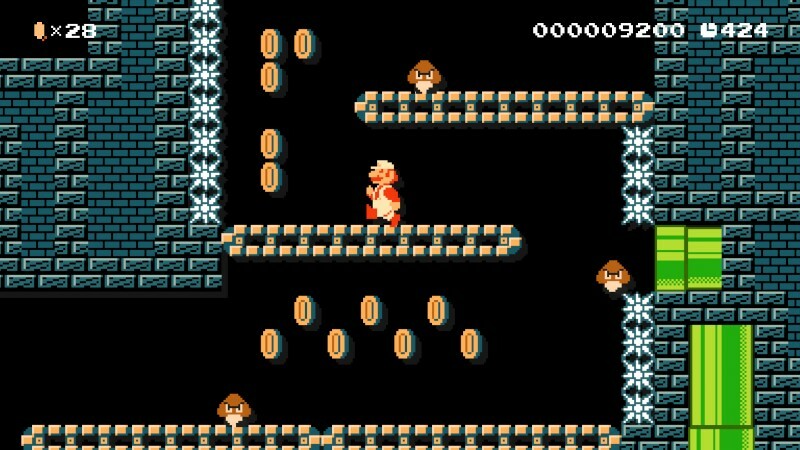 With about an hour left until it's Sunday and a new week has started, it's time for a retro review! Mascot kart racers bring me a lot of enjoyment when done right, and the original Crash Team Racing was one that did things right, for sure. Now, I turn my attention to the first non-Naughty Dog Crash Bandicoot kart racer, Crash Nitro Kart. Does it live up to the original Crash Team Racing? Yes... and no. 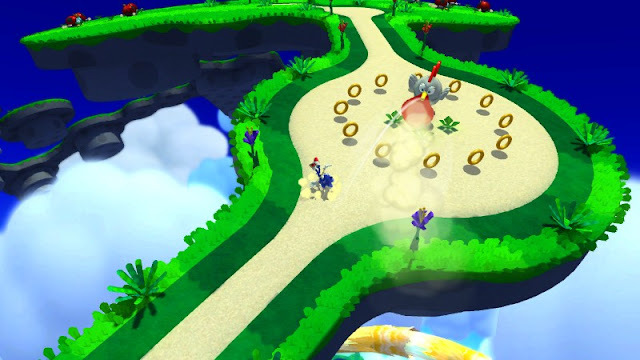 Back on the original PlayStation, Naughty Dog (Jak and Daxter, Uncharted, The Last of Us) developed a kart racer to battle against the Nintendo 64's arcade kart racing titans, Mario Kart 64 and Diddy Kong Racing. The game was known as Crash Team Racing, starring characters both old and new from the Crash Bandicoot franchise that Naughty Dog previously worked on. Crash Team Racing followed the foundations of both games it was inspired by, most notably Diddy Kong Racing's awesome Adventure Mode. After Crash Team Racing and Crash Bash, a Mario Party-esque game, were released, Sony lost the rights to Crash Bandicoot to Universal Interactive. 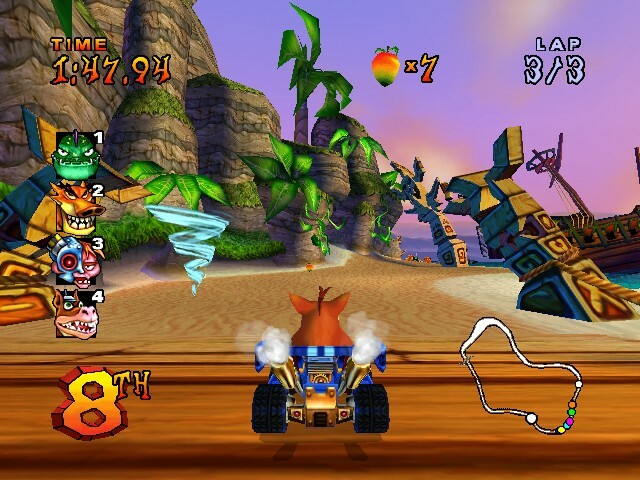 Several Crash Bandicoot games were launched the next console generation with Universal Interactive, then Activision, as the publisher, including a game very much resembling Crash Team Racing. Its name is Crash Nitro Kart, and it pretty much is Crash Team Racing formula without Naughty Dog as the publisher. Not just a carbon copy of its inspiration, Crash Nitro Kart happens to be a solid kart racing experience on sixth generation platforms. The story of Crash Nitro Kart has Crash Bandicoot and his friends, as well as Dr. Cortex and his henchmen, taken from Earth and forced to race for Emperor Velo and his coliseum audience's amusement, or else Earth will be destroyed. However, if either team, Team Crash or Team Cortex, can earn their chance to race Velo and beat him, the Emperor will send them back home. The story is set up through a nice collection of full motion video cutscenes. The only issue with these is that there is no subtitle option to choose from, making for hard times for deaf players, as none of the spoken dialogue is given text whatsoever. You're the star of this game, Crash! You can't be in last place by that much! 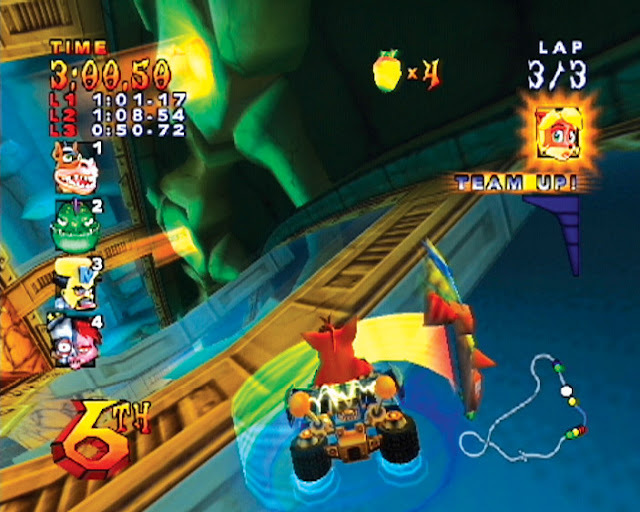 Crash Nitro Kart contains a host of modes for single player and multiplayer play. The main single player mode is the Adventure Mode, which if you're familiar with how it worked in Crash Team Racing, then you'll be right at home. 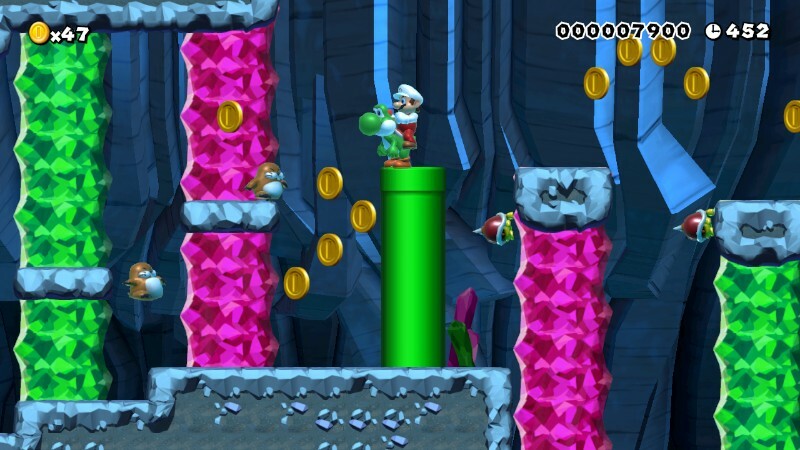 If not, allow me to explain what Adventure Mode is all about. You start in one hub that houses three circuits. Upon getting first in each of the three circuits' races, you can challenge the champion, or boss, of that hub. Beating the boss unlocks two types of challenges in the previous three circuits: the CNK Challenge and the Relic Race. The CNK Challenge is just like the CTR Challenge of Crash Team Racing. Not only must you collect three letters: C, N, and K, around a given track, but you have to come in first place as well. The Relic Race requires you to beat a target time akin to a time trial. 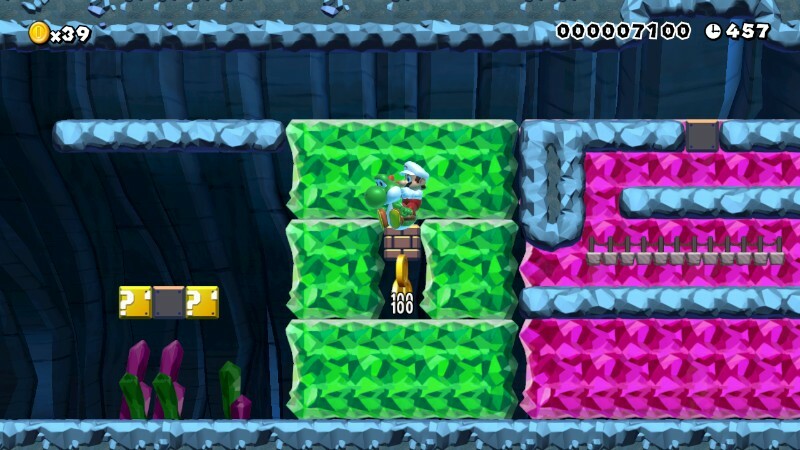 Fortunately, in a Relic Race, there are different crates strewn all along the track, each with a number from 1-3 on them. Ramming into a crate stops the timer for that amount of seconds. Both the CNK Challenge and the Relic Race race types are joined by a lone arena type of event in each of the game's four hubs that gives you an arena to speed around in, collecting 20 crystals before time runs out. All of these types of events are enjoyable, varied, and add longevity to Crash Nitro Kart's Adventure Mode. 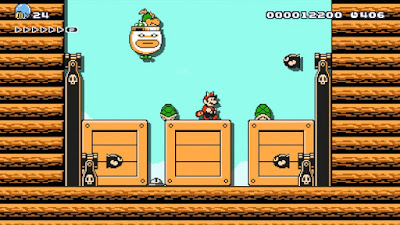 Throw in the ability to run through Adventure Mode as both teams with different cutscenes shown, and you have a single player mode that you can keep coming back to. At this rate you're going to be lapped! 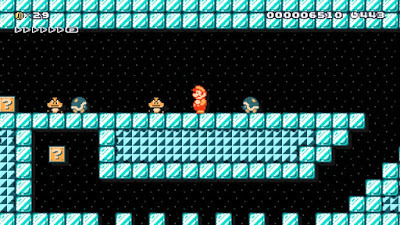 Aside from Adventure Mode, there are traditional time trial modes to choose from. You can either select from a typical three-lap race or try for the best lap in a given track. There is also a Quick Race mode that allows you to choose from the selection of Crash Nitro Kart's tracks, select an AI difficulty, and how many laps the race will be. Confusingly, this mode is only for single players, making it so if you want to play multiplayer and race, you're stuck choosing from one of four cups of three races each. You don't get to choose which race you'd like to play together, something that most every kart racer has that Crash Nitro Kart doesn't. 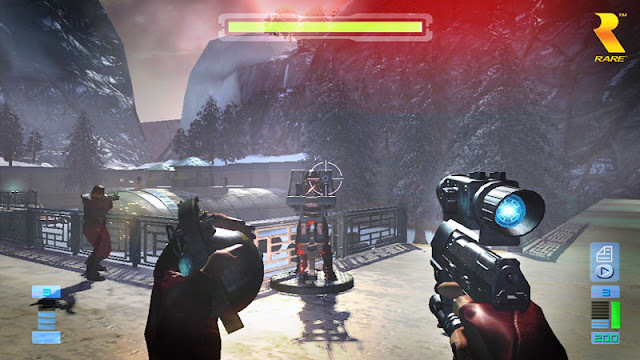 Multiplayer is also offered in the Battle Mode, which brings five game types for players to let out their aggression on their friends or fellow family members. 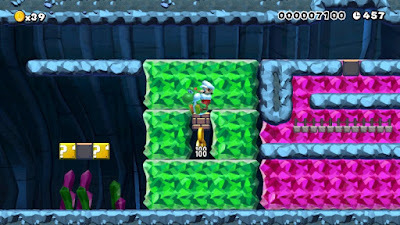 There is your typical point-based mode, a last kart standing mode, a crystal-collecting mode, a capture the flag mode, and a beacon-grabbing mode. 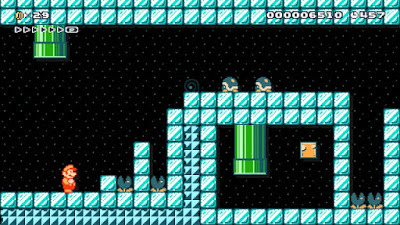 Most modes can be played free-for-all style or team-based, save for the flag and beacon modes that are only available for teams. Battle Mode is an engaging experience, but if you're looking for something that gives you the same adrenaline highs of say, Mario Kart 64's Battle Mode, then you will be sorely disappointed. Crash Nitro Kart feels a lot like Crash Team Racing in more than just with what it offers mode-wise. Developer Vicarious Visions certainly did its homework on how Crash Team Racing plays as well. Crash Nitro Kart features tight and responsive handling, and depending on which of the sixteen characters you choose from (some need to be unlocked), their speed, acceleration, and turning abilities will be different. 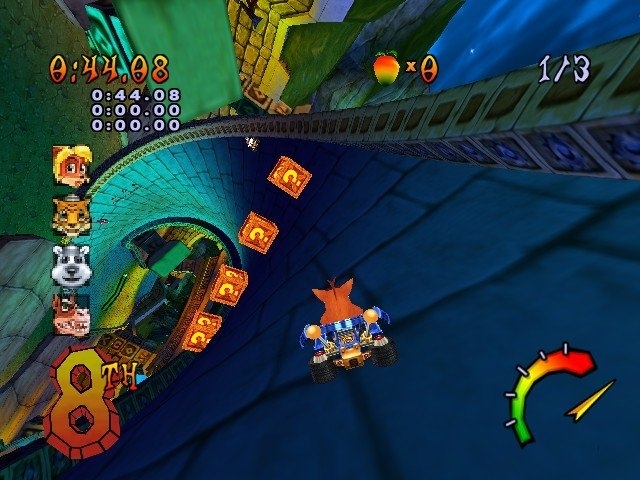 The same power-boosting mechanic of Crash Team Racing is present in Crash Nitro Kart. 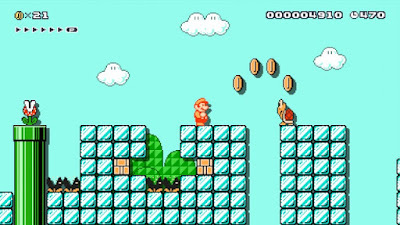 When you hop into the air and start drifting by pressing and holding onto one of the shoulder buttons, a gauge appears. The gauge will grow from green to red. When it's in the red portion, you press the opposite shoulder button to let loose a boost. You can do this up to three times on one drift, and you are also able to chain trios of boosts for some excellent power-boosting opportunities. At first, you might just successfully chain three boosts together, but as you play on, you might become skilled enough to do upwards of 20 or more consecutive boosts on a given race. Wumpa Fruit are like Super Mario Kart's coins in Crash Nitro Kart. Collecting ten not only boosts your character's top speed, but it also allows items you collect to enter juiced mode. 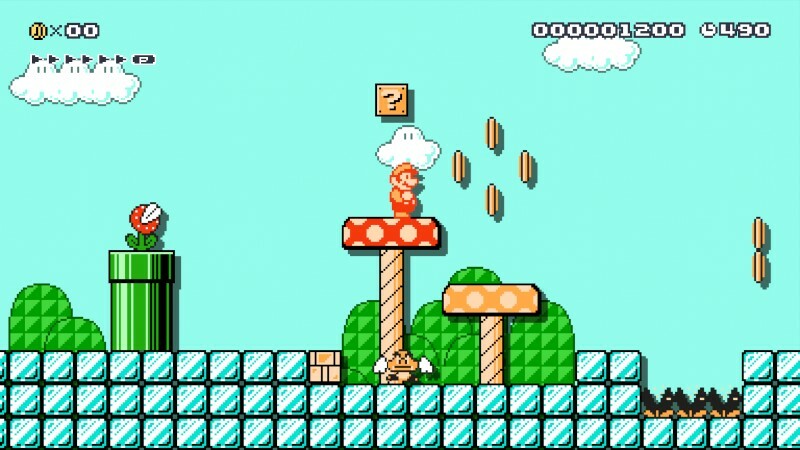 Ordinarily, items have a normal effect, whether it's a homing missile, a TNT crate that traps an opponent in it before it explodes (though by hopping like mad, that opponent can escape), or a bowling ball bomb. 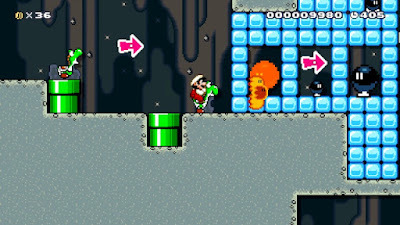 When an item is collected in juiced mode, that item becomes an upgraded version, so the TNT crate would become a NITRO crate that explodes immediately when an unassuming someone crashes into it. This Aku Mask item serves as a powerful bout of invincibility. So, the modes are fun, the racing is tight, and everything appears to be just like Crash Team Racing, except it's Crash Nitro Kart. Everything's great, right? Well, Crash Nitro Kart is inferior in one aspect, and that is in the track selection. 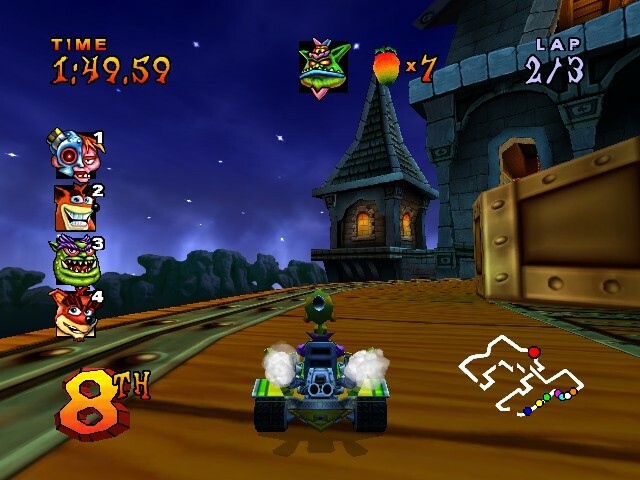 Crash Team Racing had over sixteen different races to choose from. In comparison, Crash Nitro Kart only has 13 total. This is a relatively small amount compared to other kart racers on the market, and it's a shame. Why? 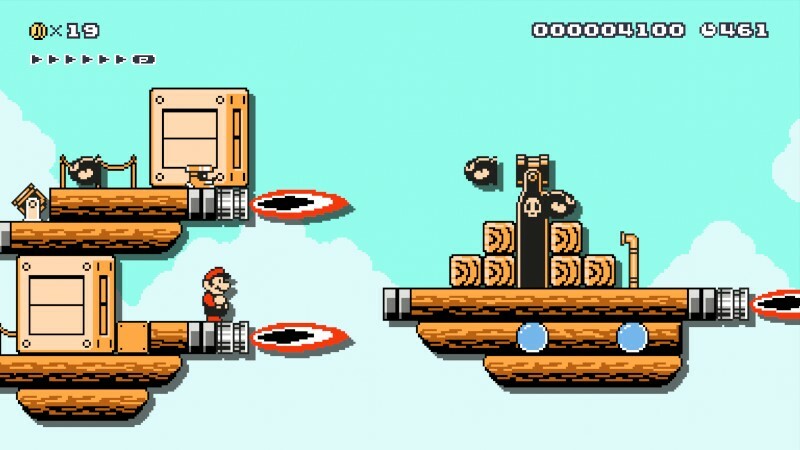 Because the tracks are really well designed, offering a wealth of secret shortcuts and pieces of track that are only accessible with some great skill involved. 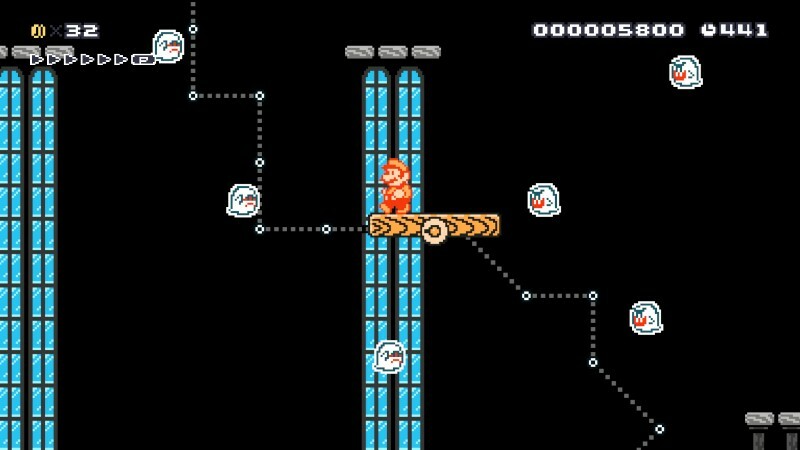 A good portion of the tracks are the precursor to 2014's Mario Kart 8. They feature anti-gravity sections that have you racing upside-down, at right angles to the ground, and much more crazy ways to laugh off gravity. 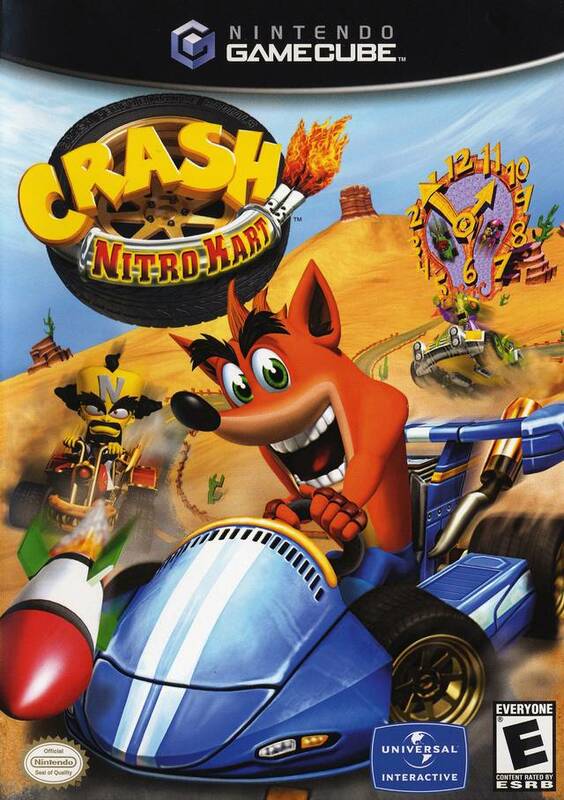 Sure, they're clunkier in execution and nowhere near as polished, but it shows that Vicarious Visions weren't resting on its laurels when it came up with the tracks of Crash Nitro Kart. Make sure not to have eaten too much before racing on some of these courses. 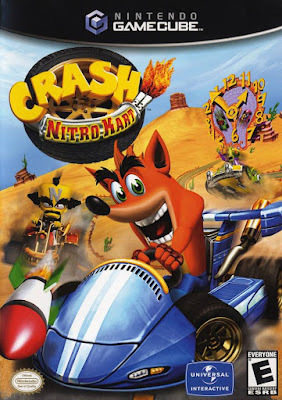 Imitation is indeed the sincerest form of flattery, and no doubt Crash Nitro Kart owes a lot to Naughty Dog's original kart racer starring Crash Bandicoot and friends. While Crash Nitro Kart isn't truly as innovative, as polished, or as well executed as Crash Team Racing, Vicarious Visions's racer is certainly worth tracking a used copy down for. Compared to its contemporaries and even kart racers released around its own period of time, Crash Nitro Kart doesn't make those games eat its dust, but it does deliver tight racing action, clever track design, and plenty of charm. For those uninitiated, Super Mario Maker just released on the Wii U a couple of weeks ago, at least in North America. 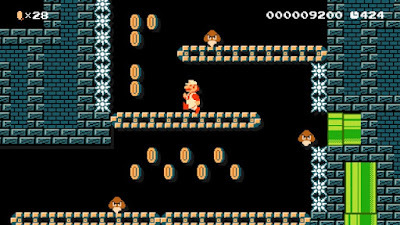 SuperPhillip Central reviewed the game with high marks. The game allows users to create, design, play, and share each others' levels with a worldwide audience in an official capacity. 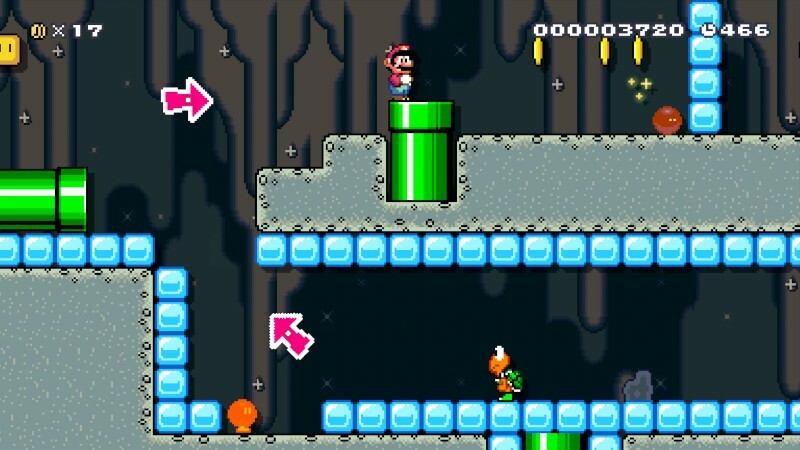 The interface is way well done, making it easy to tinker around with and create a level in a fast amount of time. 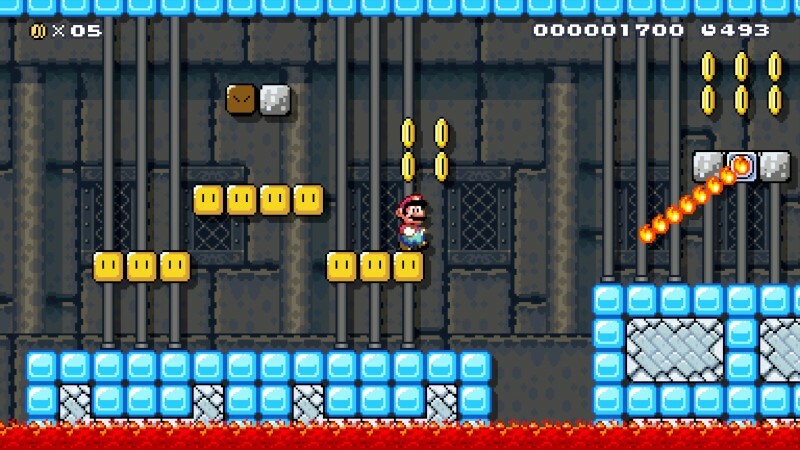 Now, of course, whether that level is actually good or not is totally subjective. 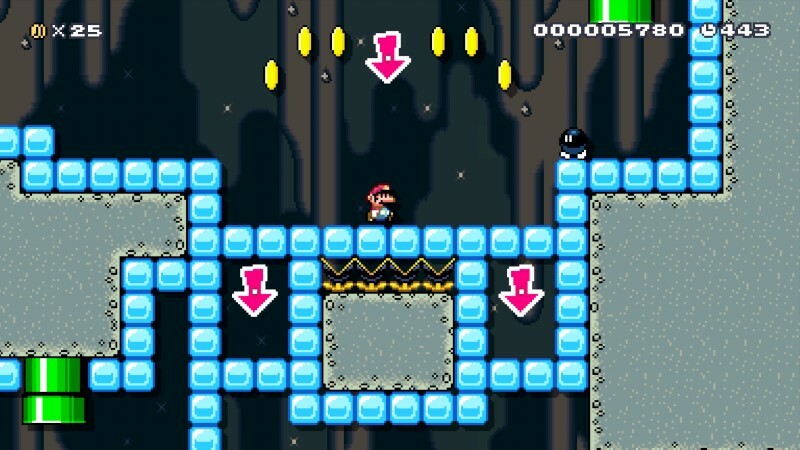 With this planned reoccurring segment, I will be sharing the levels SuperPhillip Central has created and spent time on trying to make as great as they can possible be. 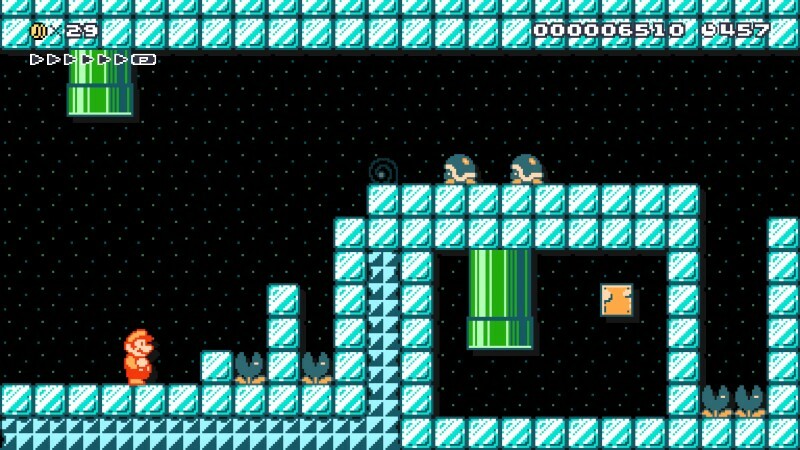 For this third edition, there are eight more levels to share. 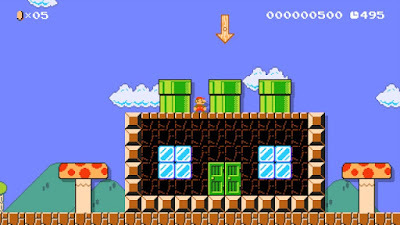 I'll include the name, some screenshots, a description, and of course, this time around, the level link to the Super Mario Maker Bookmark page. After you've seen SPC's creations, please share your own in the comments section! 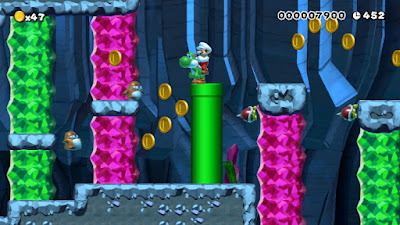 Introducing Yoshi in his natural habitat! 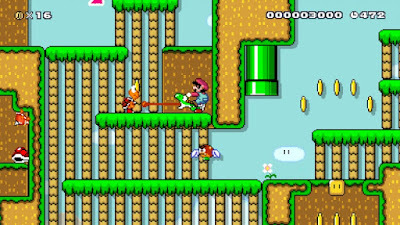 It's best to keep Yoshi with you as much as this level will allow you to, as there are plenty of Munchers that would otherwise hurt Mario if he didn't have Yoshi to ride on. 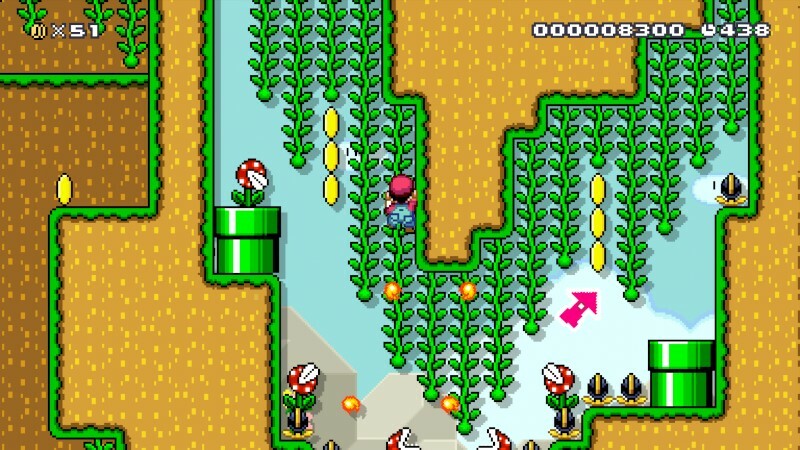 Maneuver your way through this jungle obstacle course, avoiding Piranha Plants, climbing vines, and scaling the treetops. This cavern is infested with Monty Moles! 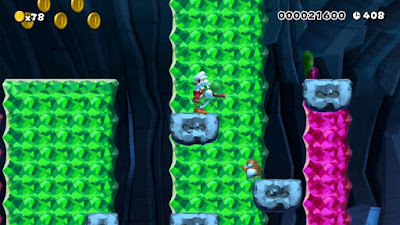 Survive the Monty Mole onslaught with precision platforming from color-coded area to area, masterful jumps from Monty Mole heads, and yes, Yoshi returns as an extra insurance policy for Mario! Venture into this perplexing haunted manor, filled to the brim with paranormal activity. If you think getting through this maze-like mansion is as simple as running and jumping, you're anything but correct! 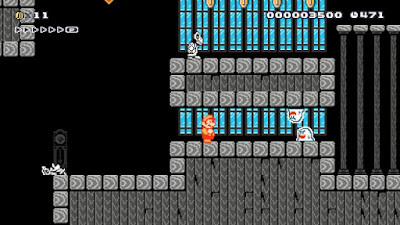 Find the way out of this manor before the Boos and Dry Bones that litter the inside bring you to your untimely demise! Bowser Jr.'s on the assault with a series of airships outfitted with cannons, Bullet Bill launchers, Rocky Wrenches, and fire jets. 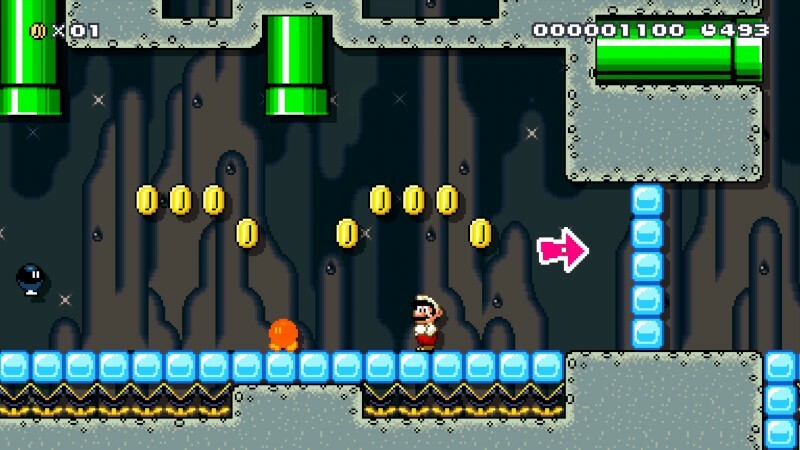 Just making it to Bowser Jr.'s chamber is a feat of itself, but can you take down the flying Koopa-in-command? 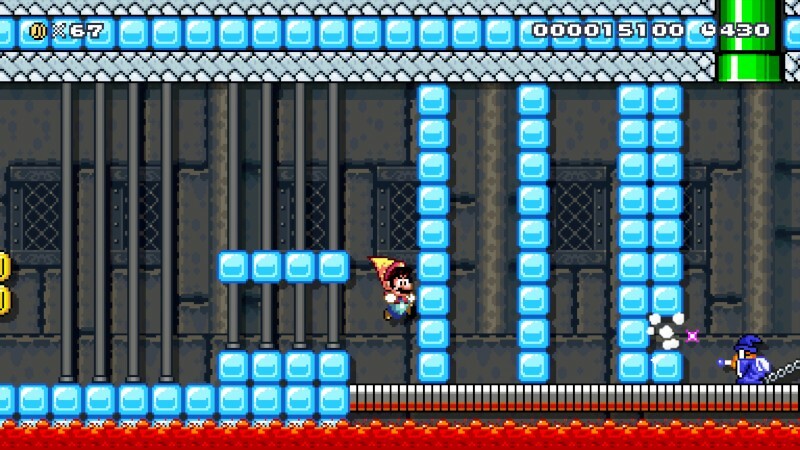 Welcome to the ice world! 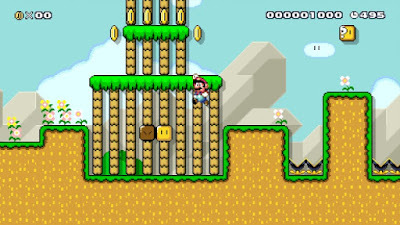 Actually, Mario isn't very welcomed here at all, as there are a myriad of enemies and obstacles both above ground and underground that await him. 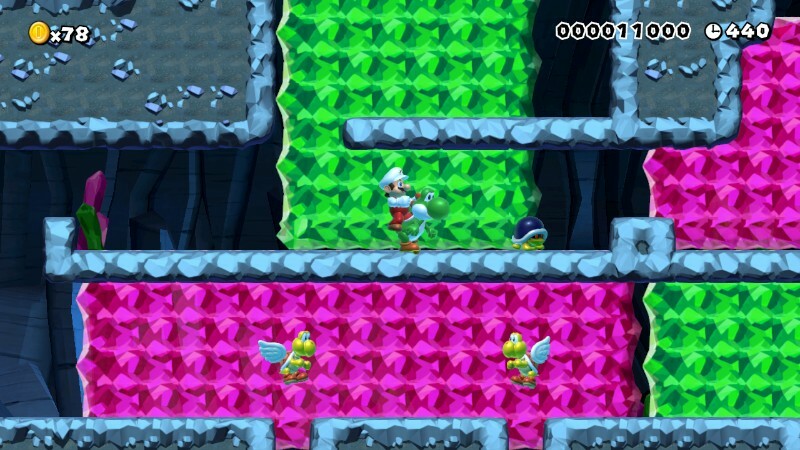 Get used to the slippery floor, as you're bound to slide around. 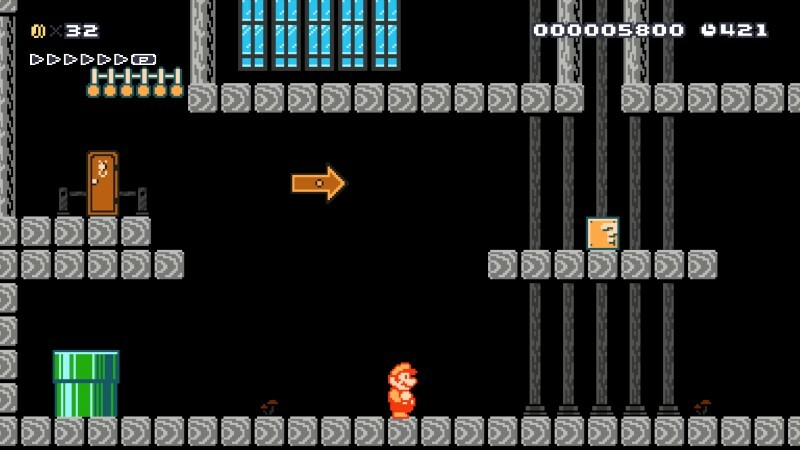 Just don't careen into a bottomless pit! 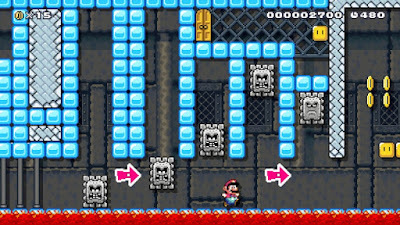 Bob-Ombs are both your ally and your enemy in this underground cavern level. Use Bob-Ombs to blast away walls to make progress while simultaneously avoiding their big blast radius. It'll take all of Mario's cunning to get through this explosive cavern alive. 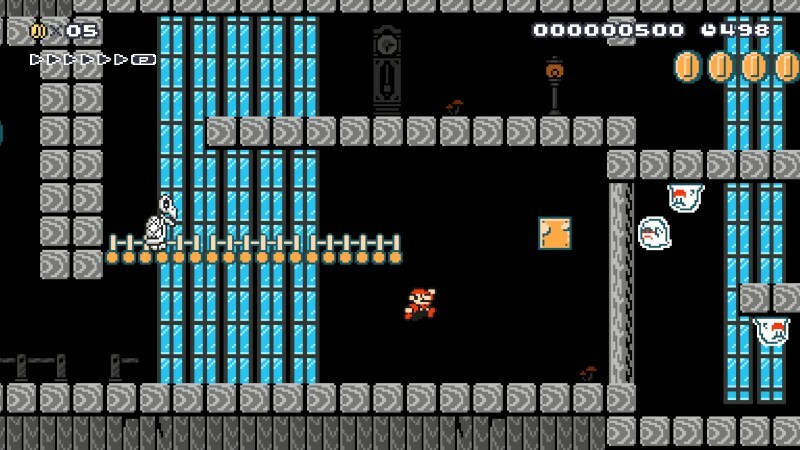 Take a break from the cold weather and enter this factory that produces Goombas of the enemy kind. Oh, so THAT'S how they're made! No time to stop and admire the production line, as you have to survive it! 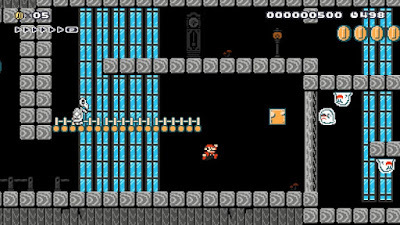 Avoid Goombas dropping in from the pipes above, run on fast-moving conveyor belts, and even use the Kuribo's Shoe to assist in getting through this challenging level. 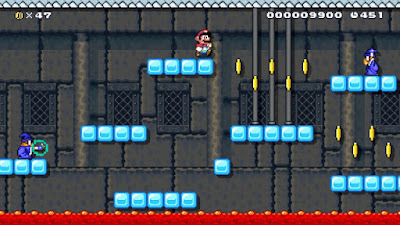 The final level of the ice world brings Mario to the frosty halls of Winged Kamek's Ice Palace. 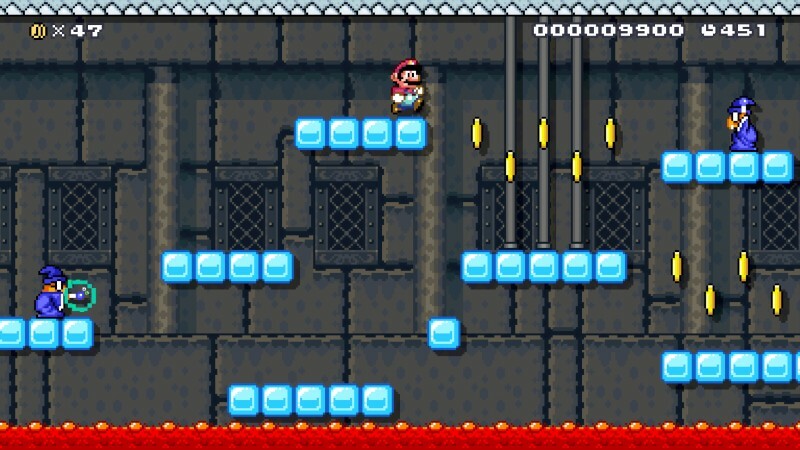 With frozen floors that will mess with Mario's footing and fire bars that will roast any unassuming plumber that gets caught in its heat, this ice palace is definitely not something out of fairy tale. Stay tuned for the last two worlds of four levels each, and the special world with eight unique courses for your enjoyment! 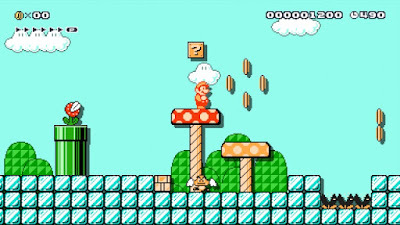 Generally on Mondays, I share five of my favorite themes from video games, whether old or new, retro or modern, popular or less appreciated. This series of articles focuses on the less appreciated. Not just games, but underrated games with even more underrated soundtracks. Perhaps these six new additions to this list will persuade you to try out these games, or at least give you some new soundtracks to enjoy! For part one of this series of articles, look no further than this link. After Rare's teasing of a new 3D platformer featuring the lovable pair of Banjo and Kazooie, what fans like myself got instead was not what was expected. 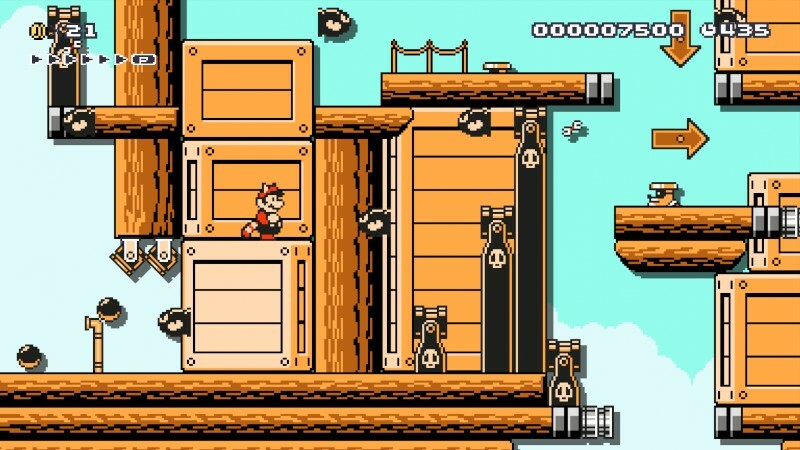 Rather than a game filled with platforming action, we received a much different game. 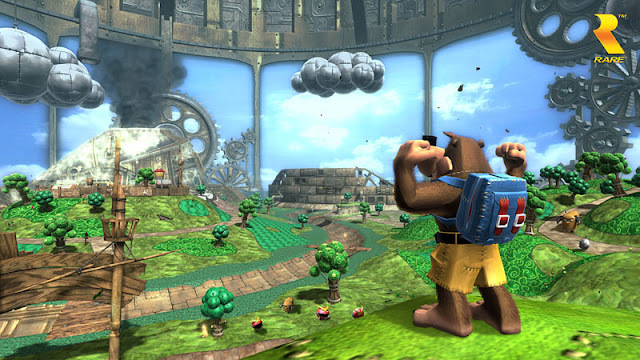 Not to say Banjo-Kazooie: Nuts & Bolts was a bad game by any stretch of the imagination. It was actually great, offering vehicle customization with the only limits being one's imagination, and varied objectives that could be handled in a multitude of ways. 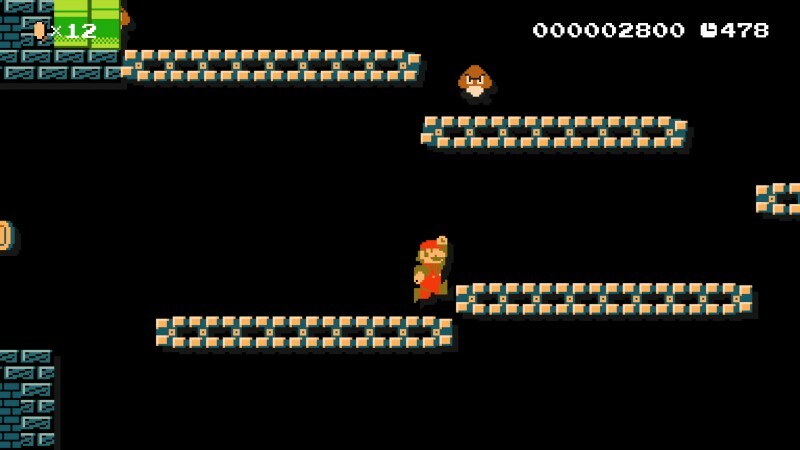 It just wasn't what fans were expecting of the bear and bird or Rare in general. 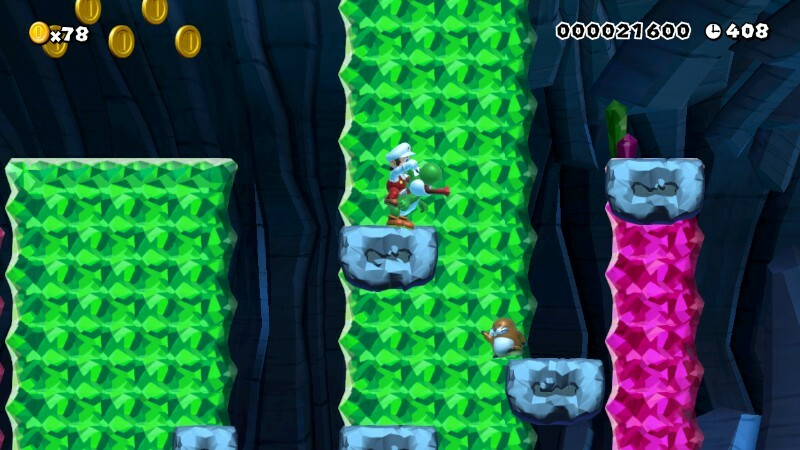 The music was a welcomed collection of orchestrated Banjo-Kazooie medleys and new material, all done remarkably well. The original Perfect Dark is my favorite first-person shooter of all time. 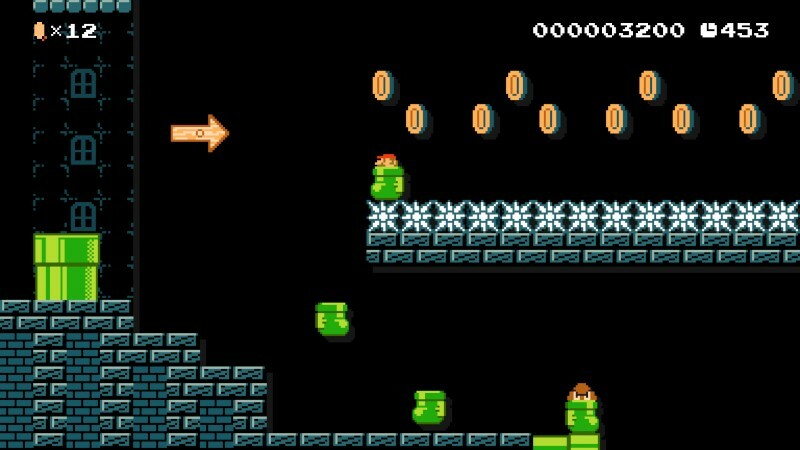 I dig the old school, multi-layered level design with different approaches available for the different objectives each mission requires. Thus, you can probably imagine how hyped I was for the game's successor, Perfect Dark Zero. Single player-wise it disappointed, but the multiplayer, though not as good as the N64 game, offered expansive, layered maps, awesome team-based modes, a wide assortment of high-powered weaponry, and an announcer that might want to switch to decaf. 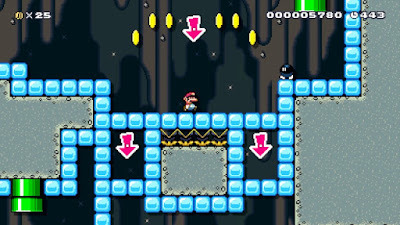 The soundtrack had a different feel to it as well, whether it was the hard rock of some levels, the trance music inside a dance club, or the Arabian feel of later levels. 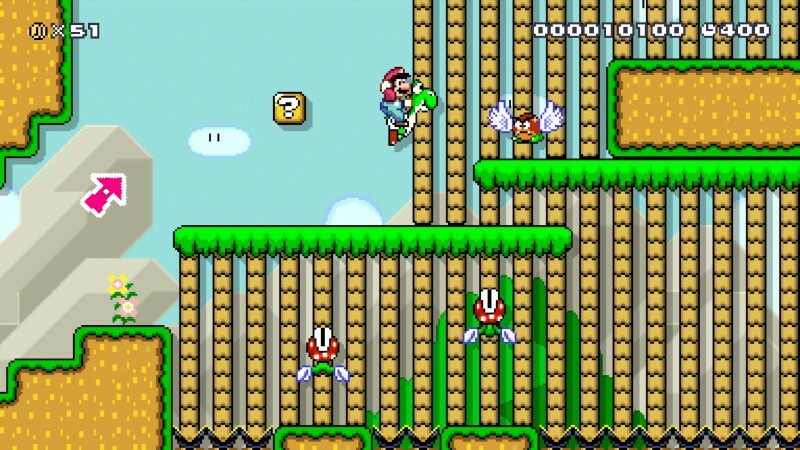 Sonic the Hedgehog entered the current generation with both a boom and a bust. Actually, those two words refer to Sonic Boom: Rise of Lyric. I'm referring to Sonic: Lost World, a game that once again had Sonic Team reinventing the wheel instead of settling on a gameplay style that had a proven track record (looking at you, Sonic Colors and Sonic Generations). Regardless, Lost World ended up being an enjoyable romp for me, but it's hard to ignore its late game annoyances and control eccentricities. What is also hard to ignore is just how great the soundtrack is, a menagerie of catchy and locale-specific tunes. This is one soundtrack that gets regular plays in iTunes for me. 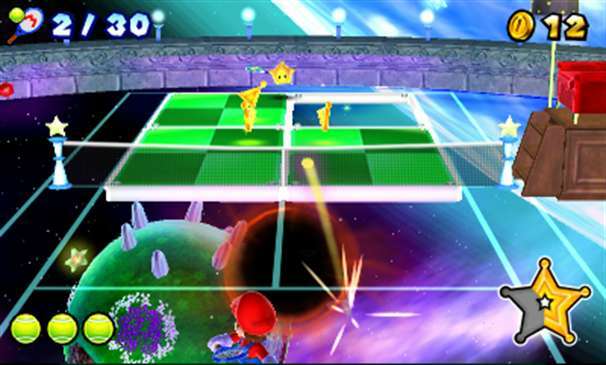 While this game started the "less is less" approach with the Mario Tennis series that recently saw the extreme of such approach with the Wii U's Mario Tennis: Ultra Smash, the Nintendo 3DS title Mario Tennis Open offered some attractive tennis action mired for many by the inclusion of chance shots. Chance shots made it so when your opponent relayed a shot of yours, a colored cursor would appear on your side of the court, signaling where the ball would land and what kind of shot you should use to hit the ball back. Though turning the tennis gameplay into something more dumbed down, what wasn't dumbed down was the Motoi Sakuraba soundtrack, consisting of all-new themes and remixes from the Nintendo 64 version of Mario Tennis, my favorite tennis game to this day. This next soundtrack is for a game that gets a lot of flak from Star Fox enthusiasts. It makes sense, after waiting many years for a follow-up to Star Fox 64, what we got was a much more linear game with unwanted out-of-cockpit on-foot sections. 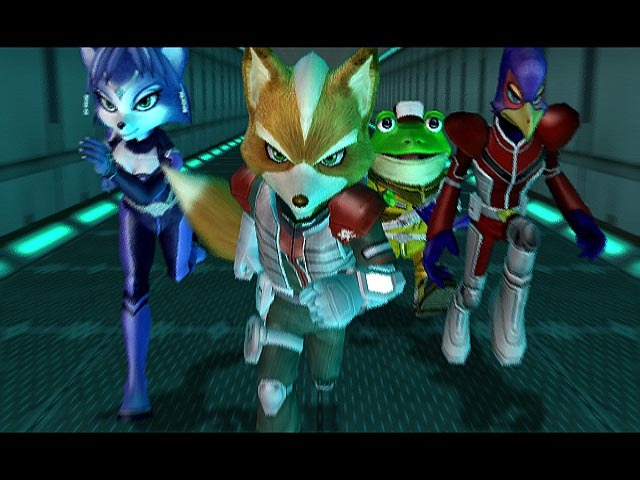 That said, I happened to enjoy Star Fox: Assault for what it was, and something that made the game all the more amazing to me was hearing many familiar themes from Star Fox 64 and brand-new compositions given the orchestral treatment, something that was one of the first Nintendo titles to feature a full orchestra at the time. A fighting game starring characters from the Teenage Mutant Ninja Turtles comic series? Yes, there was actually a thing back in the 90's, and it wasn't too shabby either! 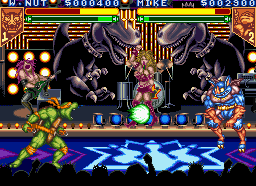 By far the most impressive part of Teenage Mutant Ninja Turtles: Tournament Fighters aside from the competent gameplay and sick graphics was the excellently done soundtrack, full of great tunes to rock out and clobber opponents to. Nothing like giving a beefed up Rat King his just desserts while a rocking track plays in the background! The PlayStation is home to a great many awesome franchises, and since the very first PlayStation, the brand has accumulated a wealth of exclusive first-party series. Sony as a publisher is not afraid by any stretch of the imagination to take a risk on new IP, and while that is no doubt incredible and worthy of praise, there are a lot of classic franchises in the PlayStation's past that need attending to, as well. From platformer classics to arcade racers, this list of ten PlayStation franchises is full of the ones that I'd love to see Sony return to. Note: The franchises on this list are ones that Sony (for all I know) has rights to, so no Crash Bandicoot or Spyro the Dragon, for instance. The idea of a PlayStation crossover akin to Nintendo's Super Smash Bros. seemed like a brilliant way to receive millions upon millions of sales. After all, if any publisher outside of Nintendo has enough big franchises to put into an all-star fighter it's Sony. 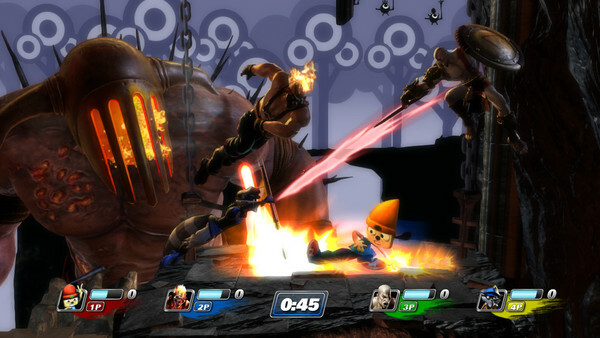 However, the execution of PlayStation All-Stars Battle Royale left a lot to be desired from most players. The need to perform all-star moves on opponents to score points made the actual fighting seem lacking in comparison. The PlayStation brand also has a sizable amount of characters and franchises to draw from, so the character selection in the finished product didn't excite too much. With a sequel, I'd love to see a new developer at the helm, trying to better understand what makes Super Smash Bros. so successful, even if it's a blatant copy or something more akin to Power Stone, a 3D brawler. With this next franchise, I don't really mind if Naughty Dog doesn't have a hand in this. 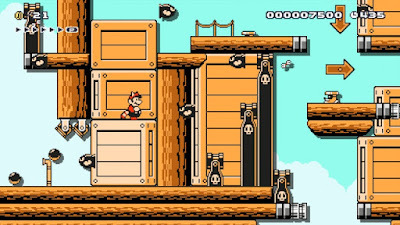 After all, the studio turned a lighthearted 3D platforming series into a gritty, tryhard platforming series, so I don't really have as much trust in them as other fans do. In a perfect world, Jak and Daxter would receive the same type of reboot treatment as Ratchet & Clank's upcoming film and game releasing in April. The PlayStation brand already has a third-person shooter/platformer hybrid, so why follow the Jak II route? Instead, a new developer could put their spin on the 3D platformer with colorful worlds, characters who aren't eye-rolling-ly extreme and gritty like Jak II and on, the same humor the series is known for, and huge worlds to explore. 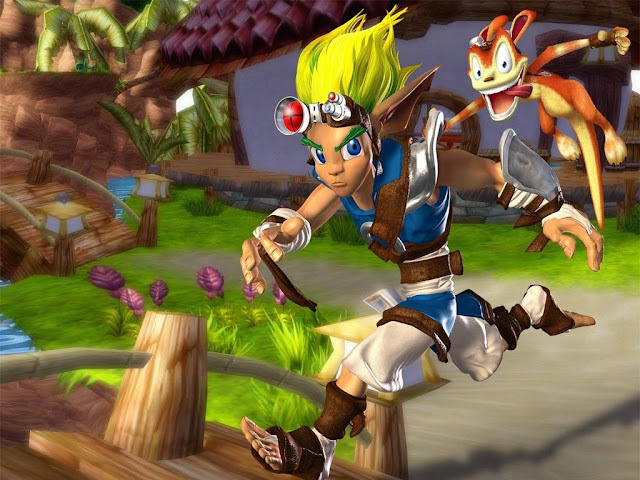 Less like Jak II, Jak III, and The Lost Frontier, and more like the original Jak and Daxter. Nintendo's F-Zero is on indefinite hiatus, and has been for over a decade now. Now, Sony's Wipeout has also careened off course and is in hibernation as well. While there have been similar futuristic racing games from indie developers, nothing comes close for the PlayStation brand than the lightning fast, weapons-filled fun of the Wipeout series. The original developer of the series is no more, but hopefully that doesn't mean that no other developer is able to take control of this blistering fast racing franchise. 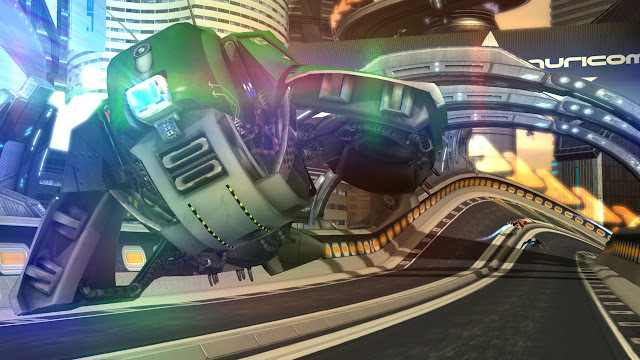 Just imagine how astonishing a PlayStation 4 Wipeout title would look. The series was already amazing to look at and play on the PS3 and Vita, but can you possibly fathom how the upgrade to the PS4 would be? Make it so, Sony! The last time we visited the world of Sly Cooper it was on the PlayStation 3 and the PlayStation Vita with Sly Cooper: Thieves in Time. That game ended on a cliffhanger, and I'd definitely like to see the conclusion to it. 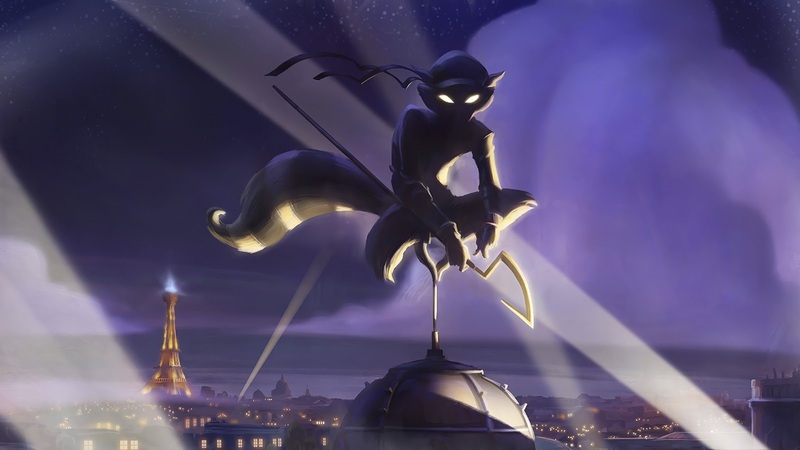 Much like Ratchet & Clank, Sly Cooper and his merry band of thieves are receiving their own full feature film, though with a much altered art style. Whether the cliffhanger from Thieves in Time will be resolved or not is unknown. It does make sense for a game tie-in to release around the time of the movie, again like Ratchet & Clank. Whatever happens, Sly Cooper deserves another chance to shine, and the PlayStation 4 can never have too many 3D platformers, a genre sorely lacking in gaming these days. 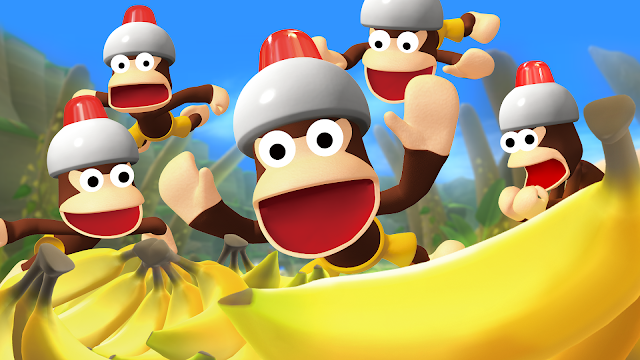 Ape Escape was a cult classic series on the original PlayStation, PlayStation 2, and PSP. On the PS3 it received a PS Move-enabled title that was more of tease of what could have been than a real game that fans of the franchise wanted. Ape Escape as a series generally has players roaming around levels, searching for monkeys, and using a variety of tactics to catch them, whether stealthily sneaking up behind them or chasing them down and nabbing them with a net. After a decade of waiting for a successor to the series, Ape Escape fans like myself are chomping at the bit for a new sequel that plays like the traditional games. Until then, I guess we can just catch monkeys in gorgeous HD in our dreams. 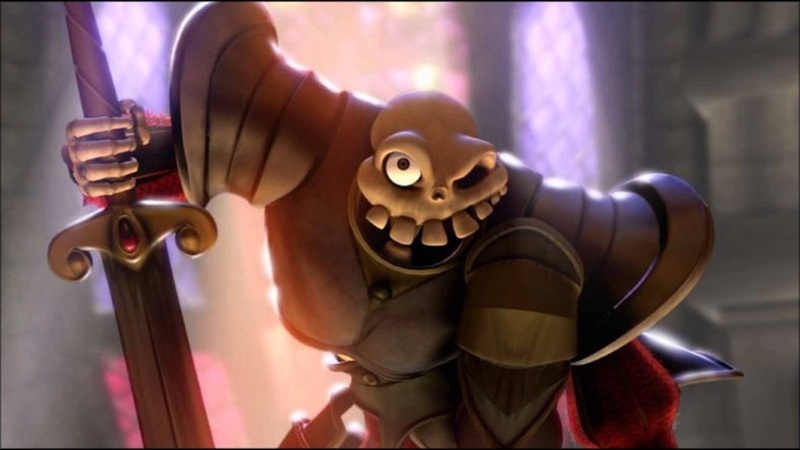 Like some franchises on this list, Sony hasn't completely forgotten about these games, as Sir Daniel Fortesque, leading skeleton in the MediEvil franchise, had an appearance in PlayStation All-Stars Battle Royale. However, since his last starring role in 2005 in the re-imagining of the original game for the PSP, MediEvil: Resurrection, Sir Daniel hasn't had much to get excited about, nor his fans. MediEvil might have been resurrected on the PSP, but since then, the series has stayed dead and buried. 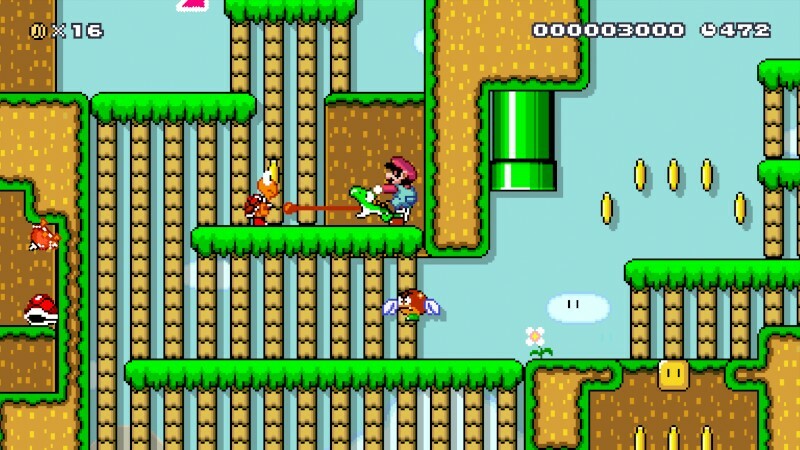 The series was known for its quirky humor, ghastly enemies, clever puzzles, and hack-and-slash combat. It'd be quite the treat to see Sony revive this classic PlayStation series, as it was one of the first that allowed the PlayStation brand to make its mark on gaming. 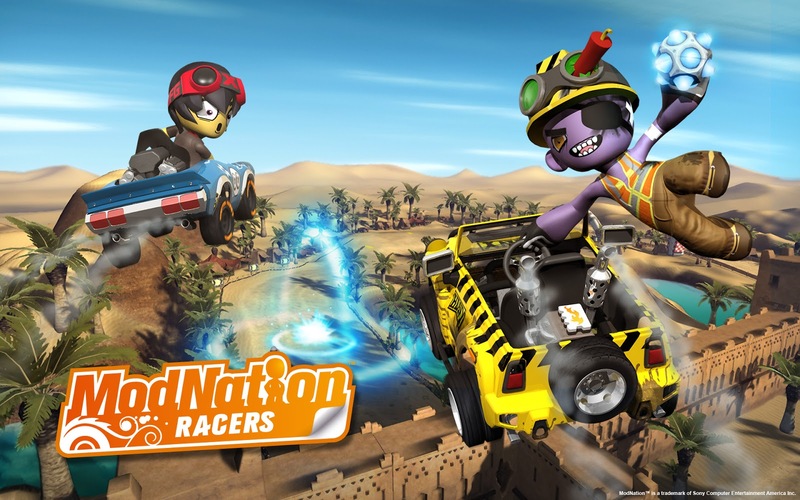 Essentially combining the intense arcade racing action of the Mario Kart series with the customization and creation aspects of the LittleBigPlanet series, ModNation Racers allowed players to craft their own racers, vehicles, and tracks. While the tools aren't as sophisticated or as convoluted as LittleBigPlanet's, ModNation Racers did offer a multitude of creative tools to let players make some truly wondrous creations. The actual racing was top notch and balanced, not having the same item spam that more recent Mario Karts have been known for. Sony's great selling console is in desperate need of an excellent cartoon-y mascot racer, and ModNation Racers is the perfect series to take the checkered flag. I'm one of those outsiders who considers Resistance to be Sony's superior first-person shooter, over Killzone. 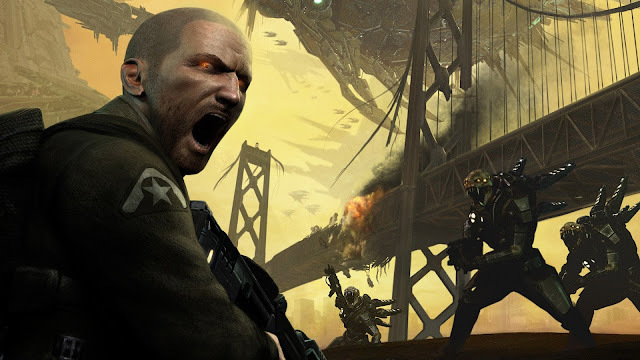 While journalists and bloggers were quick to label Killzone as the Halo-killer and whatnot, Insomniac's Resistance series gave me more enjoyment than before, something I'm obviously in the minority on. Regardless, the lore of the Resistance series, its level design, and even its multiplayer enthused me more with each entry, save for the Vita versions of both Resistance and Killzone, which was the only time I thought Killzone was easily the better of the two games at the time (to be fair, Killzone: Mercenary IS one of my favorite FPS of all time). I'd love for either Insomniac or another developer in Sony's control to give Resistance another chance. This might be a fool's wish, however, as both Resistance 3 and the Vita's Burning Skies did little sales-wise to give much in the way of encouragement. This PS3 game had the misfortune of releasing during the same time period as the PS4's launch, making it grossly overlooked by pretty much everyone but a small few. 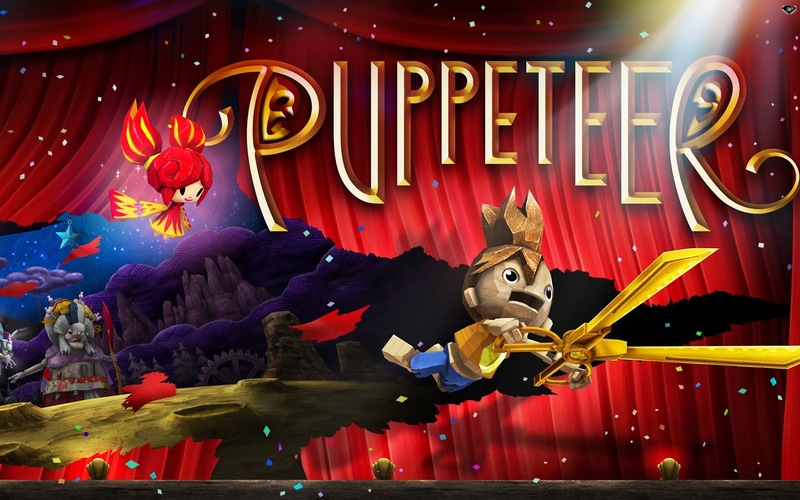 Those of us who got to play Puppeteer found a charming, spirited platforming adventure that played out like a theatre production. Sure, the story oftentimes got in the way of the gameplay, but that's always something that could be fixed with a sequel. Heck, I'd even be satisfied with a remaster, giving this under-appreciated PS3 game a second chance in the sun. Whatever the case may be as to how Puppeteer is once again put on PlayStation, I hope it's given some attention this time around. This final PlayStation franchise pick that hasn't seen the light of day in a while is a science-fiction RPG series that takes place in the Wild West, Wild Arms. The signature ARMs are powerful weapons that carry a stigma to them, reminding the people of Filgaia of mysterious and ancient technology of war. 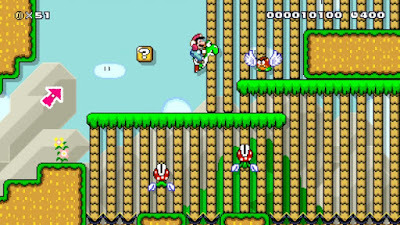 Wild Arms has since seen six entries since its debut in 1996. The most recent entry is the PlayStation Portable Wild Arms XF, which was an atypical game in the series, being a tactical RPG rather than a turn-based one. It would be wonderful to see Wild Arms return to the PlayStation with a new title. The combination of sci-fi and the Wild West is a clever one, and it would further boost the PS4's increasing lineup of JRPGs.